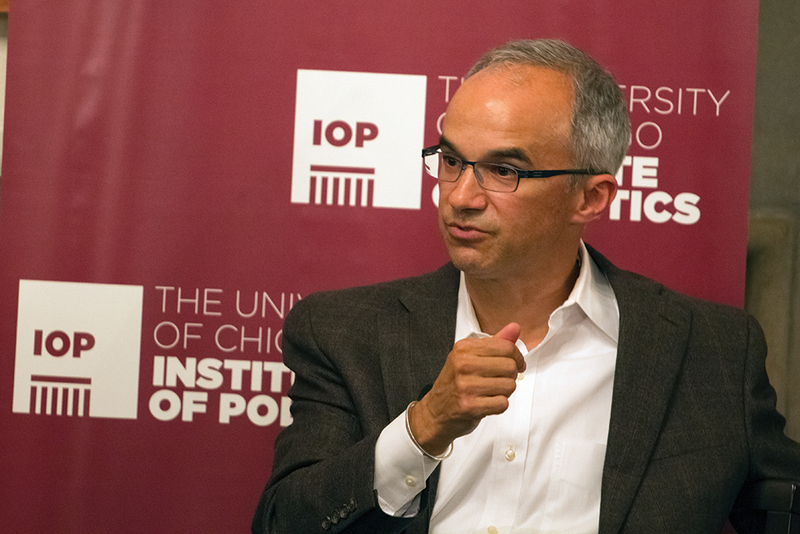 Shortly after the midterm elections, The Institute of Politics at the University of Chicago sponsored a discussion with Ian Haney-López, the John H. Boalt Professor of Law at the University of California at Berkeley and a leading scholar of critical race theory. Susan Smith Richardson, editor and publisher of The Chicago Reporter, moderated a discussion with Haney-López about his new book, “Dog Whistle Politics: How Coded Racial Appeals Have Reinvented Racism and Wrecked the Middle Class.” Following are excerpts from the discussion. Sure, the notion of “Dog Whistle Politics” is that a lot of our political speech is being conducted in code. A dog whistle is something that, when you blow it, humans can’t hear it but dogs can. The metaphor is one in which, in political speech, on one level, some of these coded phrases are silent; and on the other, they’re producing strong racial reactions. So you think about terms like “illegal alien” or “inner city” or “welfare queen.” You can’t find race on the surface, but just below the surface, producing strong reactions. Tell us a little bit about the George Wallace story. Chicago tried stop-and-frisk. It didn’t work. There’s no evidence to support Donald Trump’s answer to gun violence. Critical race theory scholar Ian Haney-Lopez discusses “strategic racism” in the presidential election.